Japan is the land of Calbee, and Calbee is the king of potato chips. My body would tell you that Calbee and I are very close friends. However, as I get older, I have been thinking that I should take better care of my body. The difficulty comes when I want to find a savory snack as a replacement. 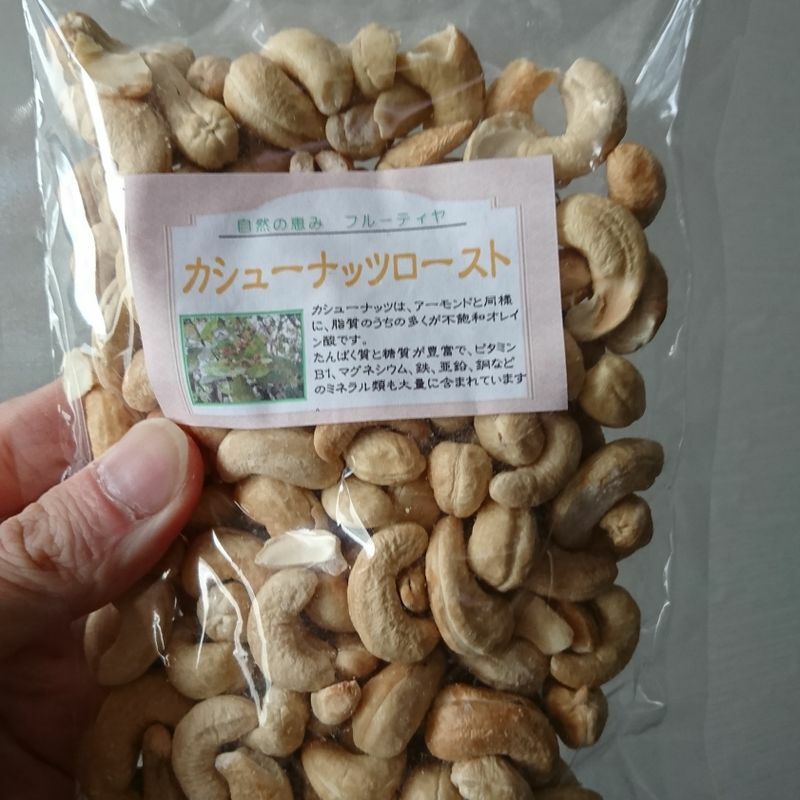 I have been trying to eat nuts, particularly cashews to fulfill that snacking need. The issue is the price. Cashews are quite pricey and costs a lot of... cash. The 100 g I bought was about 400 yen. I have been shopping online as online shops tend to be cheaper than ones sold in supermarkets, and I am telling myself that it is healthier for my body. I know I cannot and will not say goodbye to potato chips forever, but I do want to decrease the amount I am having. If you have good recommendations for healthy savory snacks, let me know!